It’s madness but true. America’s Second Amendment is the Constitution’s most misinterpreted and abused one, the nation’s influential gun lobby bearing much of the blame. Law Professor David C. Williams earlier said Second Amendment interpretation reflects myths about America. The framers believed in unity, he explained. Modern interpreters endorse distrust and disunity. The Second Amendment guarantees individuals the right to bear arms only as part of a united and consensual people, he stressed. Yet gun ownership or possession in America is almost as easy as buying toothpaste.The framers had no such intention in mind. Constitutional revisionists claim otherwise. In 1982, Chicago banned firearms not already registered with city police, forbidding the purchase of new ones. In 2010, the ban ended after the Supreme Court struck it down in a 5-4 ruling. In 2012, the 7th Circuit Court of Appeals in Chicago struck down the state’s ban on carrying concealed firearms as unconstitutional. In 2013, Illinois lawmakers granted state residents the right to carry concealed weapons. New York, Los Angeles and San Francisco have some of the nation’s strictest gun laws – maybe not much longer if future court rulings strike them down. It’s true enough to say people kill, not guns. Regulatory laxity makes it easier. In Chicago, anyone aged-21 or older can get a state-issued concealed carry license. First, they must complete a 16-hour training course on a gun test range, along with demonstrating knowledge of gun safety. They’re subject to background checks and must pay a $150 application fee. Anyone convicted of a crime can be denied a license. Gun owners carrying them outside their residences must have a firearm owner’s identification (FOID) card and concealed carry permit. 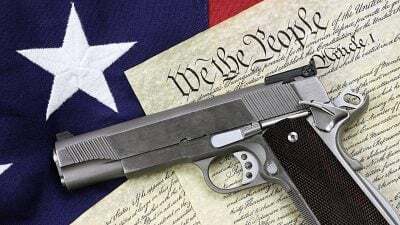 Obtaining permission to carry a concealed weapon in public is almost as easy as obtaining a driver’s license – other than denying the right to convicted felons. Illinois gun laws are stricter than most other states. Overall, they’re loosening nationwide in response to mass shootings at Columbine High School, Virginia Tech, Orlando, Las Vegas, Sutherland Springs, TX and elsewhere – defying logic, going the other way. In the last five years, over two dozen states loosened gun carry laws, permitting them in schools, houses of worship, college campuses and elsewhere. Georgia allows carrying guns in airports up to federal TSA checkpoints. Tennessee permits them in vehicles without concealed carry permits. Texas lets anyone over age-21 carry guns on university campuses, forbidding them in sports stadiums. Florida loosened its “stand your ground” law, putting the burden of proof on prosecutors to determine if a gun owner acted unreasonably beyond a reasonable doubt. Ohio permits weapons in airports and daycare centers.. A Harvard Business School study on “The Impact of Mass Shootings on Gun Policy” found loosened firearm laws followed mass shooting incidents. On Tuesday, a Michigan Senate Committee on Government Operations sent legislation to the body’s floor, letting gun owners carry concealed weapons in gun-free zones, provided they’ve successfully completed at least eight hours of advanced firearm training in the past five years, or are certified firearm instructors. The measure will likely pass and enacted into law, perhaps in days. Loosening gun restrictions in the wake of mass shootings fails to provide people with greater protection. With more guns around, they’re likely to be less safe.